The Sochon Foundation has generously provided SOAS with one scholarship for students undertaking a full-time post-graduate programme in Korean Studies.The scholarship, valued at £7,000 in total, will be used to off-set the cost of tuition fees and/or provide some support for living expenses. 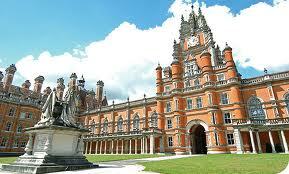 The scholarship is applied to tuition fees in the first instance, any remainder may be considered for living costs. The Sochon Foundation Scholarship may be held in conjunction with other scholarships. However, please be aware that all financial support secured before 24 May 2013 must be declared to the Advisory Panel in your application. Any awards held will be taken into consideration on assessment of financial need. The scholarship is for one year only. For candidates undertaking an MPhil/PhD programme, the scholarship is not renewable. Full-time programmes only, part-time programmes are not eligible. Applicants must have an offer of admission to a full-time postgraduate Korean Studies programme at SOAS by the scholarship application deadline. Applicants applying for scholarships must also submit an application for admission well in advance. Please note that complete applications for admission can take up 4 weeks to be considered by the Department, although this duration may vary depending on the time of year. You should be prepared to wait up to 6 weeks in busy periods. All candidates will be notified by e-mail regarding the outcome of their application, generally by mid-July. The successful candidate will also be notified in writing. If you have not had a response to your application by mid-July, please contact the Scholarships Officer. If you have any questions about the scholarship application form and the scholarship application process, please contact the Scholarships Officer. For information about Korean Studies at SOAS, please contact Professor Jae Hoon Yeon (jy1@soas.ac.uk) or Dr Anders Karlsson (ak49@soas.ac.uk) in the Centre of Korean Studies. Please do not contact these academics with questions related to the scholarship. Demikian kami sampaikan tentang Sochon Foundation Scholarship, School of Oriental and African Studies, University of London, UK semoga informasi tentang Sochon Foundation Scholarship, School of Oriental and African Studies, University of London, UK ini bermanfaat.